← Understanding the original distribution and abundance of fish fauna in the Murray-Darling Basin. 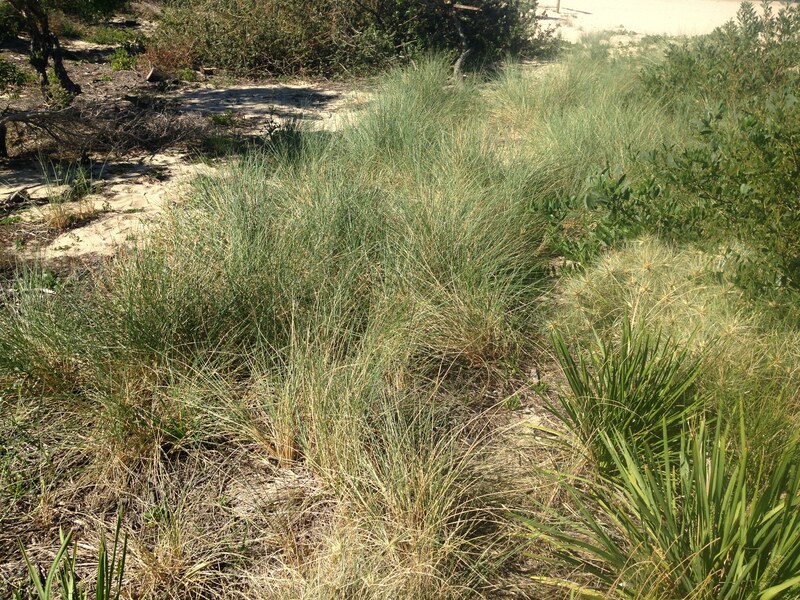 Key words: urban bushland restoration, site remediation, direct return topsoil, plant salvage, transplanting. 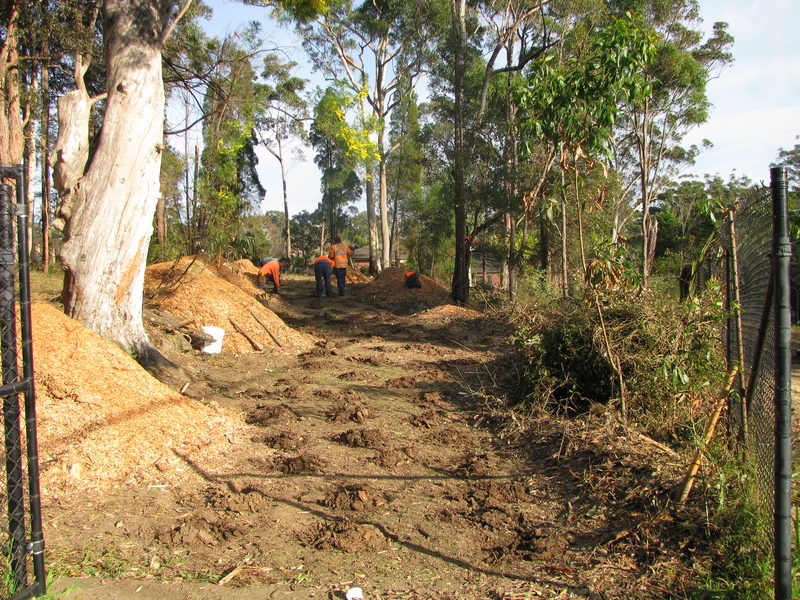 Introduction: As a bush regeneration contractor often working adjacent to development sites in the Sydney Region it occurred to me that plants and topsoil earmarked for destruction at a development site could be salvaged and translocated to improve results in nearby or similar restoration areas. Monocots lend themselves to this process due to their comparatively shallow, fibrous and stoloniferous root systems that have adapted to regrowing after disturbance. Works undertaken and results. 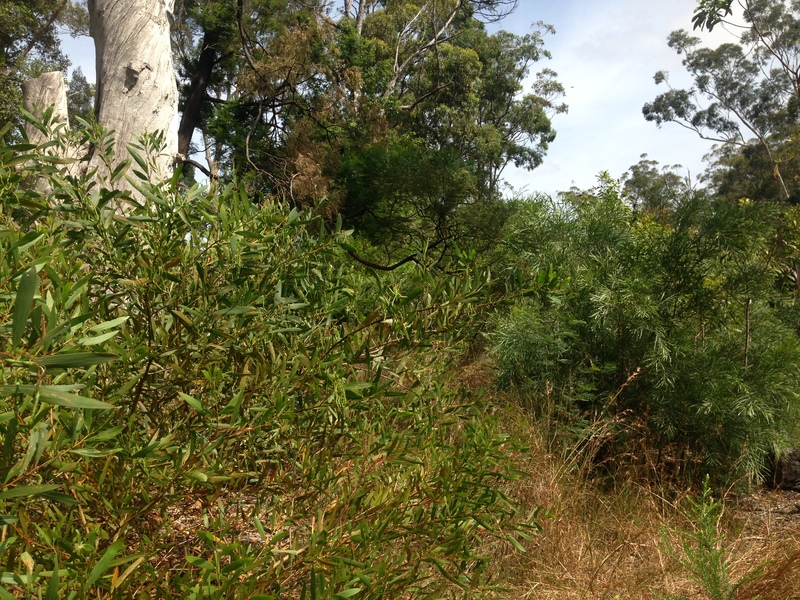 Over the years our bush regeneration contract team has translocated monocots at a range of project sites where natural regeneration potential is very low. Typically this technique accompanies our more conventional planting of nursery grown tree and shrub tubestock in these areas. The soils in these recipient areas are usually similar to those of the donor sites from where they were sourced. If weed management is needed, the recipient sites are typically weeded before transplanting takes place. 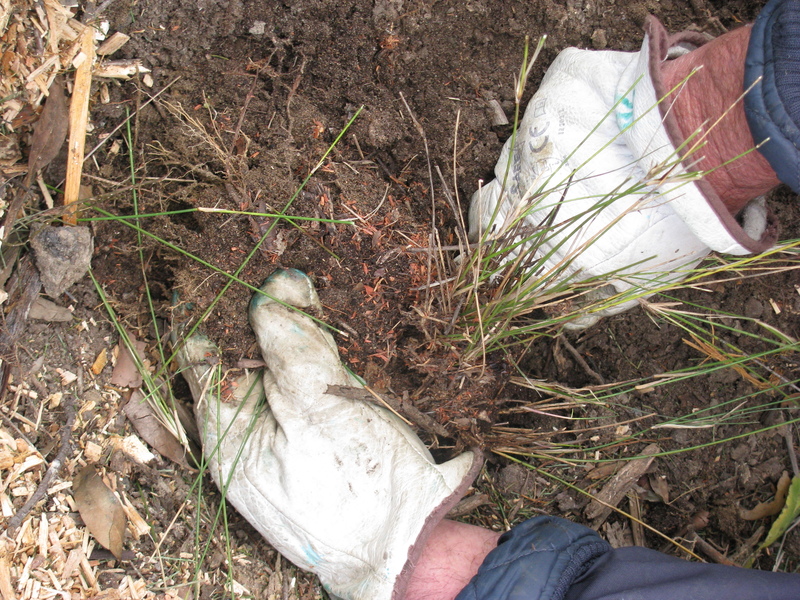 We use hand tools such as shovels to dig-up variable sized sections of mostly native grasses and some other native monocotyledonous plant sods from areas that have been designated for development and other similar authorised clearing. Plant establishment aids such as water retention crystals and fertilisers are also applied to each transplant at planting to assist with plant survival and establishment. The transplants are watered-in initially and on subsequent occasions, depending on prevailing soil moisture conditions, project resources and project timing. 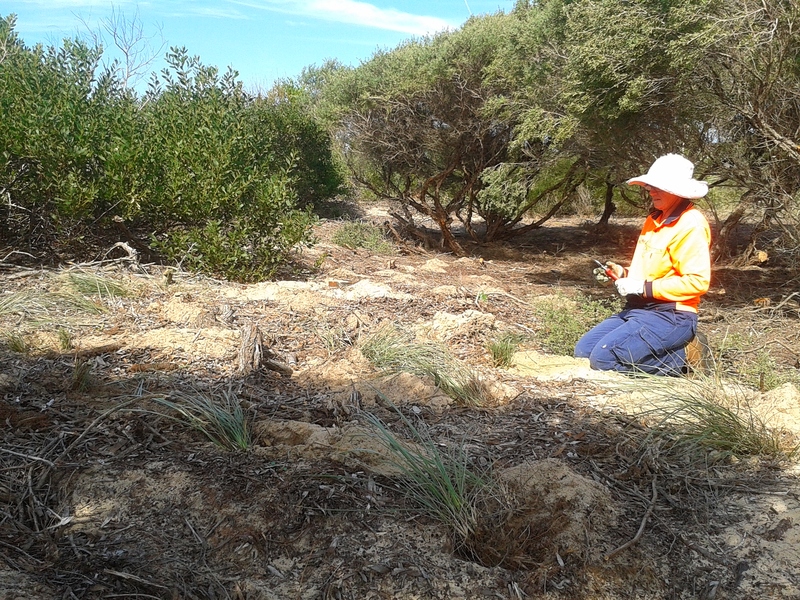 Ongoing follow-up bush regeneration weeding is typically undertaken in the recipient sites, as required. (Fig 1). Monitoring has been confined to ‘before and after’ photo documentation, as shown in the following examples. 1. Tuckwell Road, Castle Hill Shale Sandstone Transition Forest and Sydney Turpentine Ironbark Forest Regeneration and Reconstruction of low residence sections. 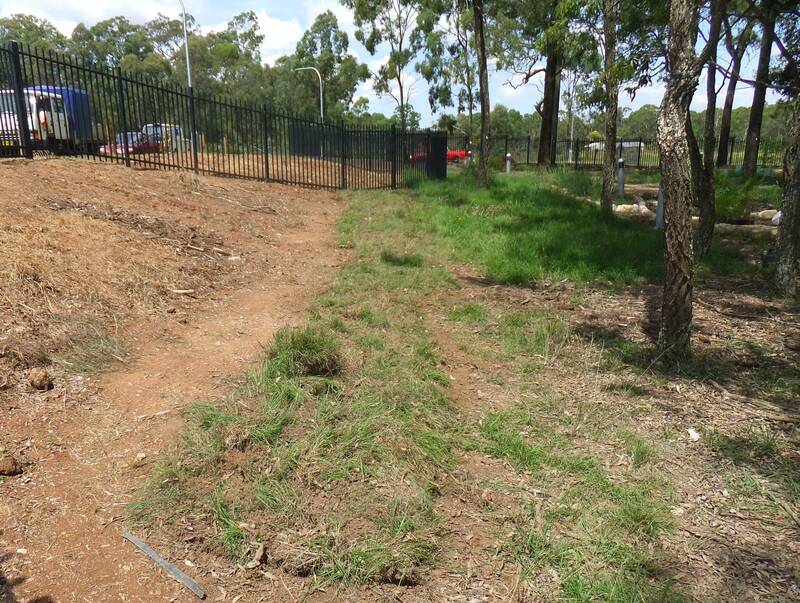 The recipient site was a rehabilitated old bitumen driveway within an estimated 0.40-hecatre bushland conservation and restoration area Native grasses and other monocots were transplanted from a bushland area that was being cleared for associated road widening works at a density of four plants/m2. (Figs 2 and 3). Ability to conduct the treatments on a small scale using hand tools, or large scale using heavy machinery. Potential for soil pathogen spread. 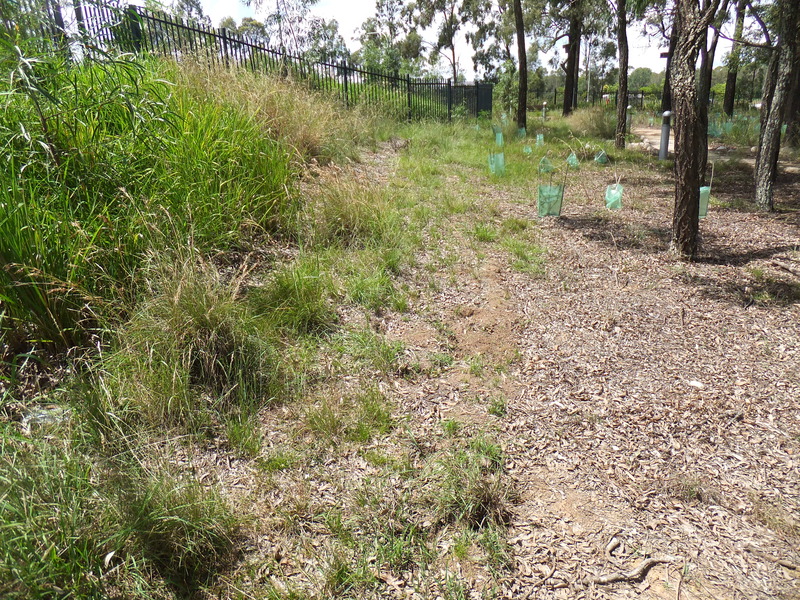 This entry was posted in Assisted regeneration, Bush regeneration, New South Wales, reconstruction, Restoration & management theory, Sclerophyll communities, Urban ecosystems. Bookmark the permalink.